Here are a few more books that caught our attention in recent weeks. A selection of photographs by the American photographer Alvin Langdon Coburn (1882-1966) were shown at Fundación Mapfre in Madrid from 13 December 2014 to 8 February 2015. The catalogue was designed by Madrid-based Sonia Sánchez and Paco Lacasta (Sánchez / Lacasta, see Eye 77). 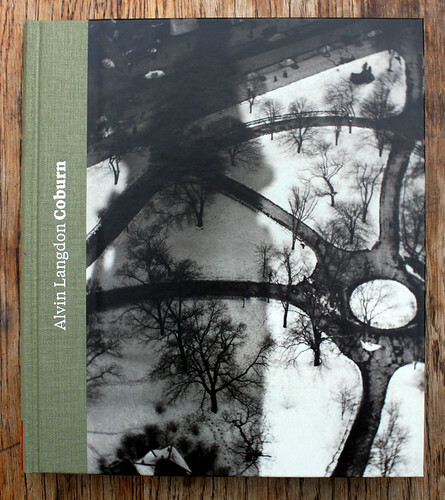 Cover of Alvin Langdon Coburn catalogue, designed by Sánchez / Lacasta. 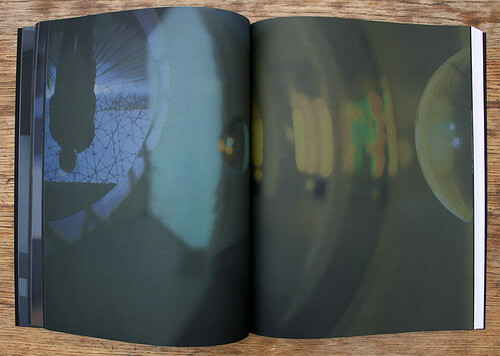 Top: spread from Olafur Eliasson: Contact, designed by Irma Boom. Spread from Alvin Langdon Coburn including a ‘vortograph’ of poet Ezra Pound (left). Design: Sanchez / Lacasta. 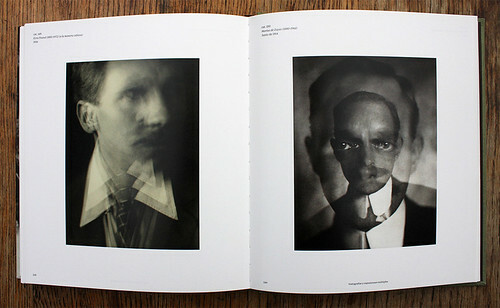 Both Coburn’s portraits of people, such as his abstract ‘vortograph’ of poet Ezra Pound, and his images of places in Europe and North America, such as London, Paris, Niagara Falls, Yosemite National Park, the Grand Canyon and New York, are splendidly reproduced within the catalogue Alvin Langdon Coburn. The exhibition travels to the George Eastman House International Museum of Photography and Film in Rochester, NY, from 19 September 2015 to 24 January 2016. 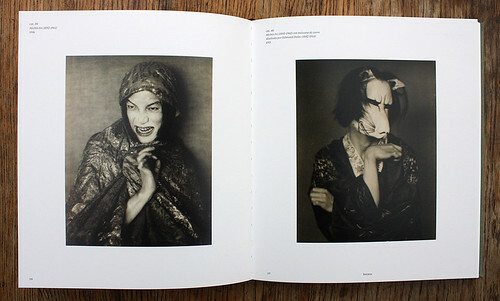 Spread from Alvin Langdon Coburn. The exhibition moves to Rochester NY in September 2015. The large-format Olafur Eliasson: Contact (Flammarion, £50) features a provocative book design by Irma Boom (see Reputations, Eye 88). The content is taken from the exhibition ‘Contact’, held at Fondation Louis Vuitton from 17 December 2014 to 16 February 2015, which explored ‘the relations between self, space, and universe’ and plunged its visitors into the inky blackness of outer space. 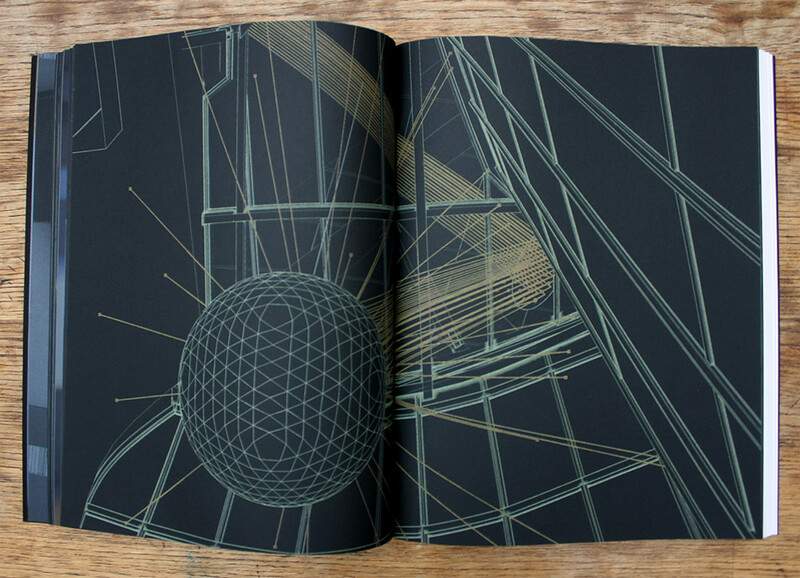 Spread from Contact (2015), printed on black paper stock. Design: Irma Boom. Printed by Grafos in Barcelona, the first half of the catalogue features four-colour artwork and installation photographs on the blackest of black papers. The remaining (white) pages include big sketches, articles, commentary and other information. 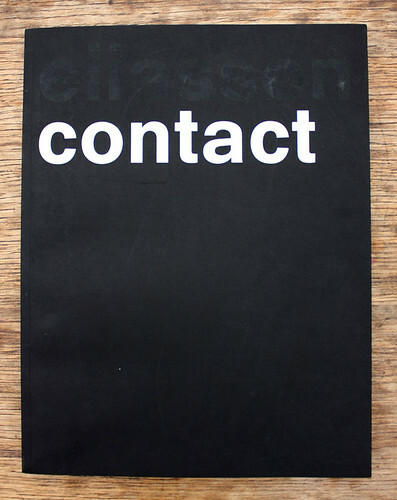 Cover of Olafur Eliasson: Contact (2015). 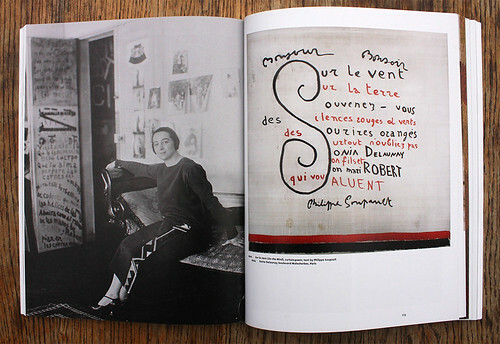 Spread from Sonia Delaunay. Design: Mucho. The ‘curtain poem’ on the right is Sur le Vent, text by Philippe Soupault. Sonia Delaunay (1885-1979) was one of the most versatile artists of the early twentieth century. Passionate about colour and pattern, her impressive career spanned that of abstract painter, fashion and fabric designer, and costume and film-set maker. 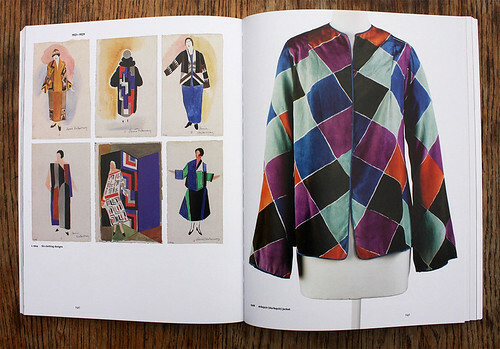 Spread from Sonia Delaunay showing sketches and a harlequin jacket from the 1920s. Sonia Delaunay (Tate Publishing, £29.99) accompanies the recent exhibitions at Musée d’Art Modern de la Ville de Paris, and at London’s Tate Modern. 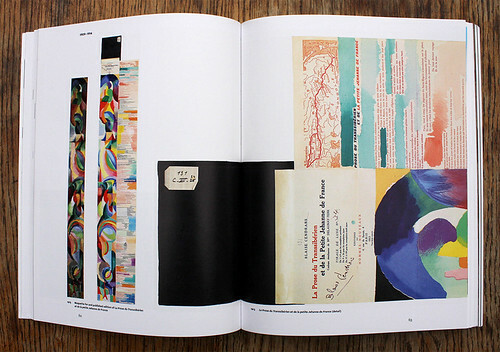 Generous spreads illustrate the range of Delaunay’s work, with essays by curators and art historians that expand considerably upon the information in the show. The book’s art direction is by Loran Stosskopf of Mucho (see Reputations, Eye 89). 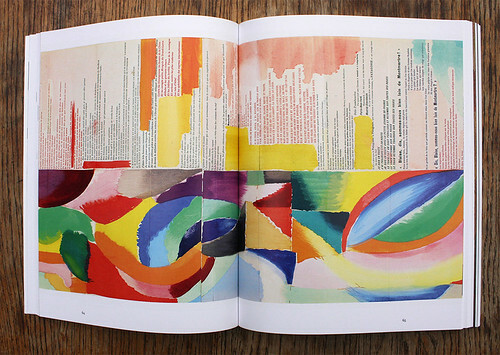 Spreads from Sonia Delaunay showing La Prose du Transsibeérian et de la petite Jehanne de France (1913) a collaboration with Swiss poet Blaise Cendrars, which Delaunay called ‘the first Simultaneous book’, intended to express the sound of spoken words through colour. Cover of Data Design (Bloomsbury, 2015) by Per Mollerup. Data Design (Bloomsbury, £22.99) by Per Mollerup is a well conceived, clearly written handbook aimed at professionals who have to deal with information design on a regular basis. Early in his text, Mollerup makes the distinction between the ‘data visualisation’ that organises knowledge and what he dismisses as ‘data decoration’. After some brief historical ‘milestones’ and ‘basics’, Mollerup organises his book into three main approaches. 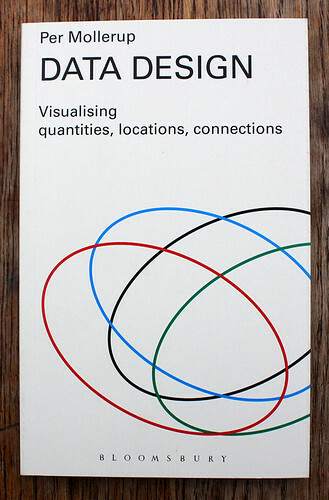 These are ‘Visualising quantities’ (including the Isotype example shown below, left), ‘Visualising locations’ and ‘Visualising connections’, which includes the Venn diagram approach shown on the cover. 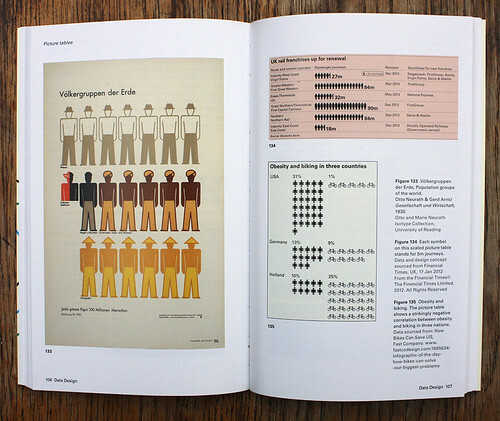 Spread from Data Design showing three ways of visualising quantities, from Isotype, the Financial Times and Fast Company. Mucho – Reputations interview in Eye 89. ‘Memory of books’ by Sonia Sánchez, Eye 77.